The museum is a 60's style building in Hendon, north London. It was opened in 1972 on an old airfield. A large museum, well presented and with free entry. 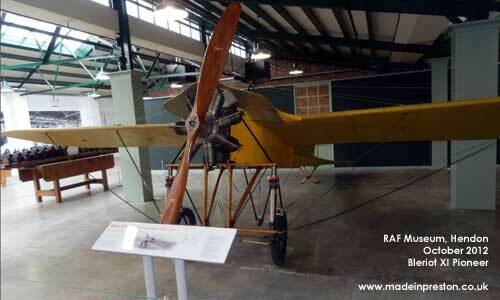 Displays include old hangars containing aircraft laid out with plenty of room to view them. An old works where aircraft were made in the early 20th century. 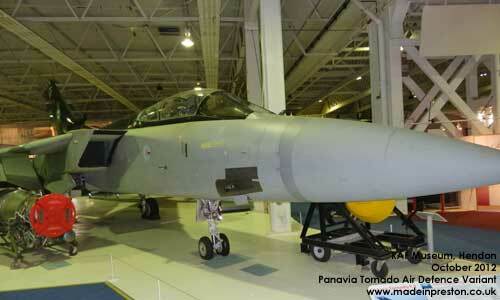 Panavia Tornado Air Defence Variant was a UK only variant of the tri-national project. 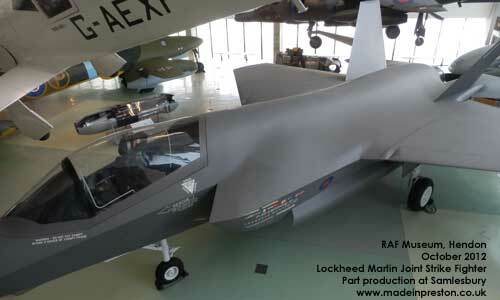 Made at British Aerospace / BAE Systems Warton, Preston and Samlesbury in the UK. Including the new Ferranti / Marconi Radar, Smiths Avionics, Martin Baker Seats, Rolls Royce engines. A lot of UK high technology. The Bleriot XI Pioneer monoplane. The Joint Strike Fighter, F35 Lightning II, brand new aircraft by Lockheed Martin with BAE Systems as a first level partner and manufacturing taking place at Samlesbury near Preston. 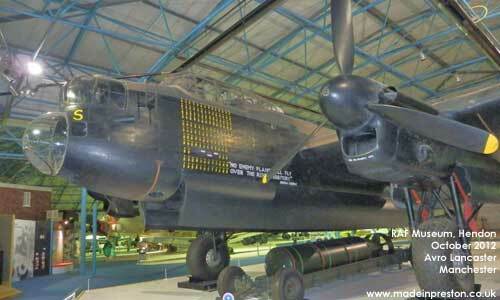 Avro Lancaster, a huge and famous bomber of World War 2. 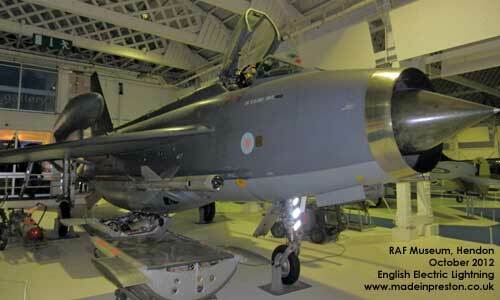 English Electric / BAC Lightning. Later version with overwing tanks. 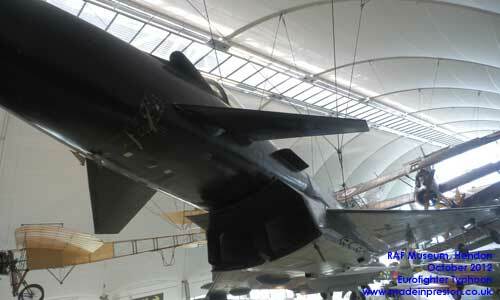 The last supersonic all British built jet fighter. Made in Preston. 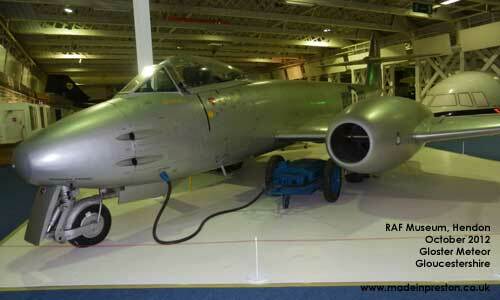 The Gloster Meteor one of the first British jet fighters. 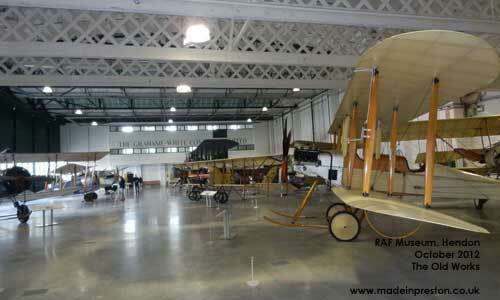 The old aircraft factory display at Hendon. 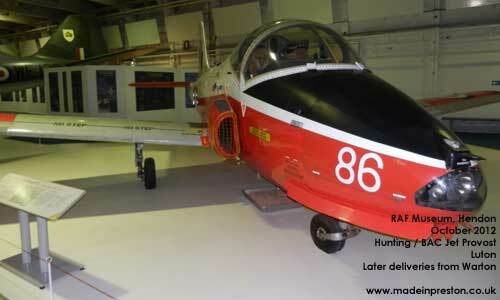 The Hunting Jet Provost later to be the BAC Strikemaster. 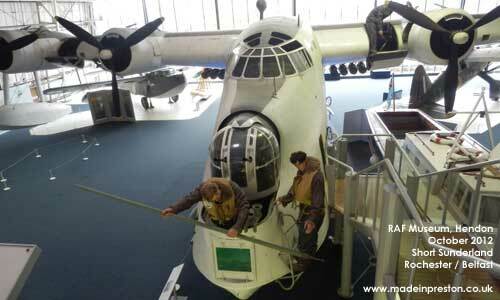 The Short Sunderland a huge seaplane. The Eurofighter Typhoon. The RAF's current prime fighter. A 4 nation consortium with UK design and production in the area around Preston. 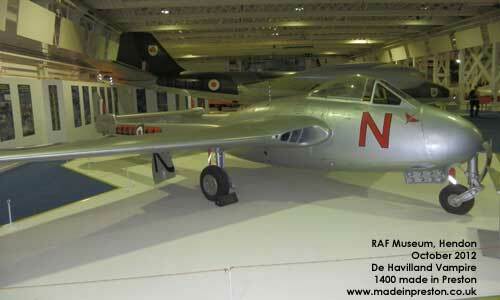 The De Havilland Vampire. An early British jet aircraft designed by De Havilland, with some 1400 being built in the Preston area.